We care for patients with a wide array of conditions. Below are brief descriptions of how we manage just a few of the MANY problems we routinely treat successfully. Don’t see your problem here and wonder if we can help? 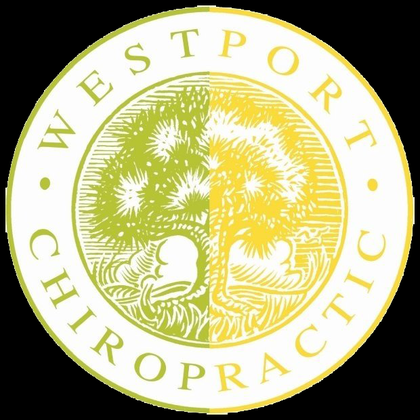 Send us an email at mailmanager@westportchiro.com and a doctor will answer you promptly. Most know to rest, ice, compress, and elevate the area following an ankle sprain to control swelling and inflammation in the area. 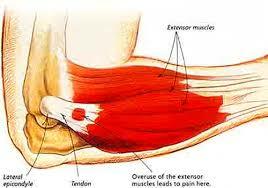 Less well known but even more important is joint movement dysfunction and scarring that occur with most ankle sprains. 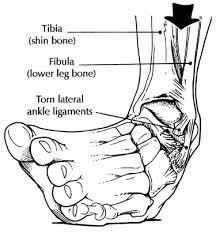 Most ankle sprains happen when the ankle rolls in with the toes down, partially tearing the ligaments on the outside of the ankle. The body patches the “hole” in the ligament with scar tissue that is weaker, less flexible and more pain sensitive than healthy ligament leaving it vulnerable to ongoing pain and repeated sprains. 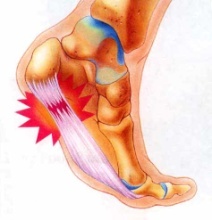 The forced inversion (rolling in) of the ankle also often forces the top bone of the foot, the talus, forward and out where it becomes stuck, again contributing to ongoing pain and leaving the ankle “half sprained” until the problem is corrected. We offer advanced soft tissue treatments like Active Release Technique and Graston Technique to break down the scar tissue and encourage the growth of normal, healthy ligaments. Specific chiropractic adjustments to the ankle restore normal joint movement leaving the joint strong, stable and flexible. CARPAL TUNNEL SYNDROME is a problem with a nerve in the arm that controls part of the palm, thumb, index and middle fingers. The nerve travels a difficult obstacle course from the neck down to the fingers. It has to pass safely between the bones of the cervical spine (neck), between the neck muscles, under the collar bone, through the shoulder muscles, through the arm and elbow muscles, under the wrist ligament that forms the ceiling of the “carpal tunnel” and finally into the hand. At any one of those places along that obstacle course, joint movement dysfunction (stuck joints) or muscle movement dysfunction (tight or weak muscles) caused by overuse can pull, pinch or rub on the nerve causing numbness, tingling and weakness in the hand. Proper treatment starts with chiropractic adjustment to free stuck joints in the neck, shoulder, elbow and/or wrist. Then advanced soft tissue treatments like Active Release Technique and Graston Technique break up scar tissue and adhesion freeing the nerve to function and feel normal again. These are essentially the same condition the only difference being tennis elbow is felt on the outside and golfer’s elbow on the inside of the elbow. Both come from repetitive overuse of the muscles that bend the wrist and hand forward (golfer’s elbow) or backward (tennis elbow). The overuse causes microtears in the tendons that insert on the bone bumps on the inside and outside of the elbow. The tendon becomes inflamed and scar tissue is laid down in place of the tears to ‘patch up’ the area. The scar tissue binds and restricts these tendons, causing further stress on the tissues. Home care instruction is sometimes enough to solve mild cases. More severe cases need advanced soft tissue treatments like Active Release Technique and/or Graston Technique to break down the scarring. It is rare to find a case that does not also involve joint movement dysfunction in some combination of the wrist, elbow or cervical spine (neck) that needs correction with specific chiropractic adjustments. With the right treatment combination, most cases respond very well. Three of the major muscles that “flex” or bend the hip forward are the iliacus, the psoas and the rectus femoris. These muscles get short and tight from prolonged sitting, biking, kayaking, etc. When these muscles remain short and contracted over time, scar tissue builds up in the areas of tightness. This can cause pain and/or a snapping at the front of the hip and thigh. Psoas attaches to all the bones of the lower spine and often causes low back pain also. Advanced soft tissue treatments like Active Release Technique and Graston Technique break up the scar tissue and adhesion in the hip flexor muscles. Specific adjustments correct joint movement dysfunction in the low back and hips that often accompanies the muscle problems. Simple home exercises complete the correction. The iliotibial band (ITB) is a long strap of fibrous tissue stretching from the top of the hip to the outside of the knee. 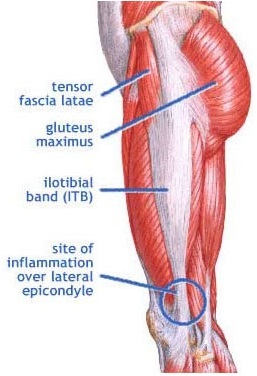 ITB Syndrome is a painful irritation of this fibrous band. It most often occurs in those who perform repetitive leg movements, like runners or cyclists, although anyone can be affected. Examination usually finds some combination of Joint Movement Dysfunction (JMD) in the pelvis, hip or knee, and Muscle Movement Dysfunction (MMD) in the hip muscles. When treated with a combination of specific adjustments to restore joint motion and Active Release Technique (ART) or Graston Technique to release tight muscles, pain usually goes away and normal function returns. There is no more effective approach to relieving and preventing low back pain. 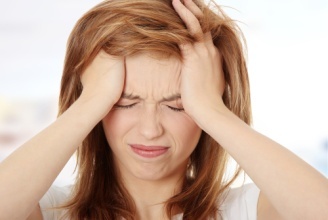 Neck pain and headaches often go hand-in-hand. This is a common one two punch because when neck joints lose their normal range of motion, other tissues such as ligaments, tendons and muscles become irritated. These irritated muscles have an uncanny ability to refer pain behind the neck up the back of the neck and even behind the eyes. Specific adjustments restore normal motion to the joints of the neck. Tight muscles are relaxed with advanced soft tissue treatments like Active Release Technique and Graston Technique. When combined with specific corrective exercises, the headaches and neck pain can become few and far between. The patella, or “knee cap”, is a small bone that is located within the tendon attaching the quadriceps (front of the thigh) muscles to your tibia or shin bone. It sits in a groove on the femur or thigh bone. When the knee joint is properly aligned and the muscles around the knee are balanced, the patella sits comfortably centered in its groove and feels and works fine. 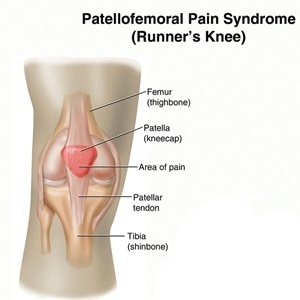 Patellofemoral Syndrome occurs when some combination of loss of normal joint motion (JMD) or imbalance in muscle function (MMD) causes the knee cap to come off center and rub too hard on one side of its groove. Restoring the joint motion with chiropractic adjustments and restoring muscle balance with Active Release Technique, Graston Technique and/or specific exercises gets the patella back to center, relieves the pain and restores the function. Our feet are designed to be almost as nimble as our hands. Like our hands, they have dozens of muscles capable of moving each part of the foot in every direction. Before humans wore shoes, this was necessary for walking over twigs, stones and the uneven surfaces that make up most of the natural world. In barefoot people, these muscles are strong and support the arches of the foot well. But most of us spend our days walking on hard, flat surfaces and in shoes that pad and support our feet but let our muscles get lazy and weak. Prolonged standing or walking can overload the lazy muscles damaging them and the fascia around them causing plantar fasciitis. Scar tissue forms to repair the damage, further constricting the plantar fascia until tension and pain develops, typically at the inside arch toward the foot toward the heel. This condition typically responds well to advanced soft tissue treatments like Active Release Technique and Graston Technique applied to calf and foot muscles. Treatment also often includes adjustments to restore mobility to the many joints of the foot, followed by strengthening exercises. Your pelvis is made up of two hip bones (one is called an ilium. Two are called ilia) and the triangular sacrum between them. The sacrum and the ilia come together to form two sacroiliac joints. Prolonged sitting, standing, etc. can stress the sacroiliac causing pain right over the joint that sometimes radiates to the buttock, thigh or groin. We usually find joint movement dysfunction in the sacroiliac and often in the hip. A few specific adjustments is sometimes all it takes to restore function and relive pain. In more complex cases, we have to also address tight muscles in the area with Active Release Technique or Graston Technique and weak muscles with specific spinal stabilization exercises. Sciatica is an irritation of the sciatic nerve causing pain starting in the buttock and radiating to the back of the thigh and sometimes as far as the foot. It is often, but not always, associated with disc problems. Whether the disc is involved or not, we almost always find joint movement dysfunction. It may be caused by joint and movement dysfunction in the low back and/or in the tight muscles in the hip, buttock and thigh. 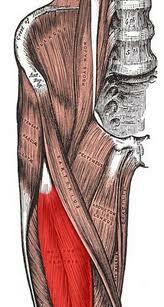 Specific adjustments restore normal joint motion, and advanced soft tissue techniques (Active Release Technique or Graston Technique) release the tight muscles. Corrective exercises are usually necessary to complete the correction. Shoulder pain and movement restriction are common complaints in those with jobs that require lots of manual labor, or just people who enjoy being active. 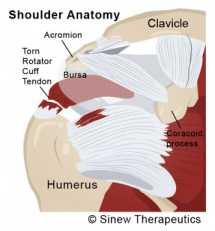 The shoulder joint is very susceptible to injury due to its natural mobility. Various types of shoulder injuries from tendonitis, frozen shoulder and just general lack of mobility can be greatly helped by specific adjustments and advanced soft tissue techniques (Active Release Technique or Graston Technique) to restore normal range of motion and pain free mobility to the shoulder joint. What is commonly called a pinched nerve is a nerve is being irritated by abnormal tension or pressure. The larger nerve trunks of the arms and legs travel a complex obstacle course from their origin in the spine to their endpoint in fingers or toes. Along the way, they have to find their way out from between the bones (vertebrae) of the spine, and around and through muscles, joints, tendons, fascia, etc. Joint movement dysfunction (stuck joints) in the spine or along the path of the nerve can team up with muscle movement dysfunction (tight or weak muscles) to create the abnormal tension or pressure that produce the characteristic pain of a “pinched nerve”. Proper treatment starts with chiropractic adjustment to free stuck joints along the nerves path. 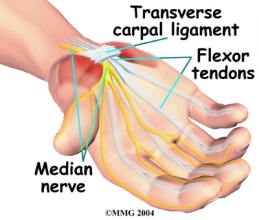 Then advanced soft tissue treatments like Active Release Technique and Graston Technique release the scar tissue, adhesion and/or muscle tension removing the tension and pressure and returning the nerve to normal.